Micheál Doherty, 70, died suddenly earlier this week. THE FATHER OF Sinn Féin TD Pearse Doherty, Micheál Doherty, was laid to rest in Donegal this morning following his sudden death earlier this week. Sinn Féin confirmed the death of Michéal Doherty this afternoon with the party’s deputy leader Mary Lou McDonald offering her sympathies in the Dáil during Leaders’ Questions. The 70-year-old died suddenly sometime between Sunday night and early Monday morning, the party said. Doherty from Magheraclogher in Derrybeg, Co Donegal was buried this morning at Magheragallon graveyard in Derrybeg following a service in St Mary’s church. Party leader Gerry Adams and other members of Sinn Féin were in attendance. Email “Pearse Doherty's father laid to rest in Donegal ”. 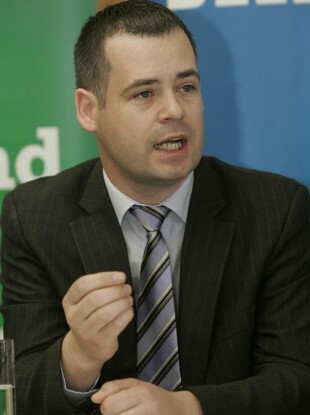 Feedback on “Pearse Doherty's father laid to rest in Donegal ”.